We will try, in the next few lines, to explain the peculiarities of the abrupt Sinai in winter, to demolish myths, to clarify situations, to put the point on the history of history and to offer some advice and recommendations to those who have not yet discovered the magic this place. The resort, considered to be a cradle of winter sports in Romania (from the royal skiing on Poiana Peleşului, at the beginning of the 20th century) boasts a complex but challenging ski area for skiers with a certain experience. It is the highest ski area in the country (2103 m alt., Furnica Peak) and this comes with a number of advantages and disadvantages that we will try to explain point by point. The Alpine area is situated on the top of the mountain, at 2000 meters, on two valleys in Bucegi Plateau: Valea Dorului and Valea Soarelui. This is the highest area. 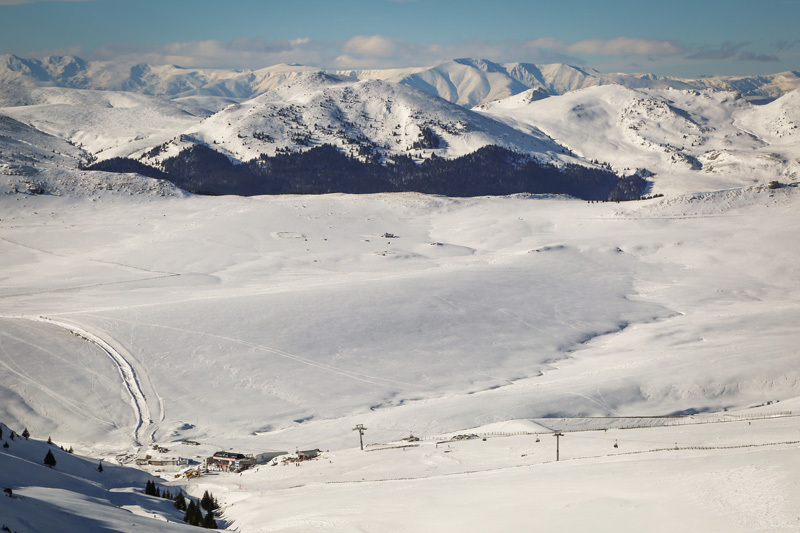 There are two chairlift facilities: Valea Dorului chairlift, with two seats (operated by Teleferic SA, private company) and the four-seater Soarelui (Sun) Chairlift (the Sinaia Local Council, managed by Urban Transport Sinaia, a public-owned company) . The two facilities serve seven intermediate-level ski slopes. Those aren't very difficult slopes, but they have a few steep slopes, which is why they are not recommended for the first ski lessons, which should ideally take place on a flat terrain. The major advantage of the Alpine Zone, which gives the resort ski a great advantage, is the altitude. Temperatures are steady negative, the earth frosts faster and the snow layer is much better preserved until late in the spring. At the same time, alpine skiing is hard to match. The downside? The same altitude and positioning of the mountain in the Romanian Plain (it sounds weird, but it's not like that). This causes wind in strong gusts, with varying directions. That's the top of the mountain. Thus, beyond the limit of 80km / h, skiing safely and within the comfort limit becomes almost impossible. That's because the wind is usually associated with extreme weather conditions and extremely dangerous for tourists. Such as snowstorm, which reduces visibility and increases the risk of mischief on the mountain. The Abrupt area is between 2000 and 1400 and is the "cherry" on the Sinaia skiing cake. And when we say that, we remember why it became popular in the last decade. 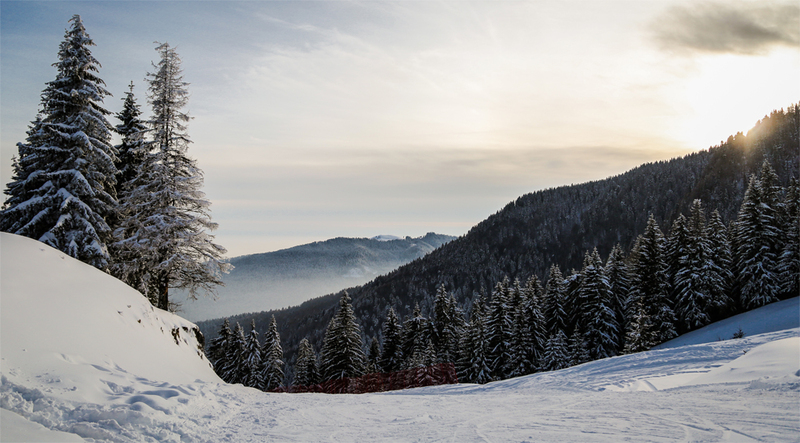 Carp, Tîrle, Papagal and other skiing trails, unspoiled and steep (Carp is the steepest homologated slope in our country) have become, over time, the reason for which powder and freeride enthusiasts chose Sinaia as a playground. Beyond the madness of the black trails, a real amusement park for the passionate, we also find the Summer Road, one of the most beautiful, longest and most important slopes of the city. The Summer Road starts at Cota 2000 and reaches, after a twisty turn and spectacular mountain scenery, at 1400. It is a medium-sized slope, over 3km long, with a 600-meter difference. It is the most accessible connection between the two points: Cota 2000 and Cota1400. The abrupt area has three black slopes: Tarle, Papagal and the famous Carp, as well as a red slopes, Summer Road. Besides these there are other routes and routes, more or less known and used by the well-known audience. That we have come here, attention, the steep area is even steep, sprinkled with rocks, valleys, bluffs. There is also a risk of avalanches at certain times. We recommend increased attention on black trails and unmarked areas. 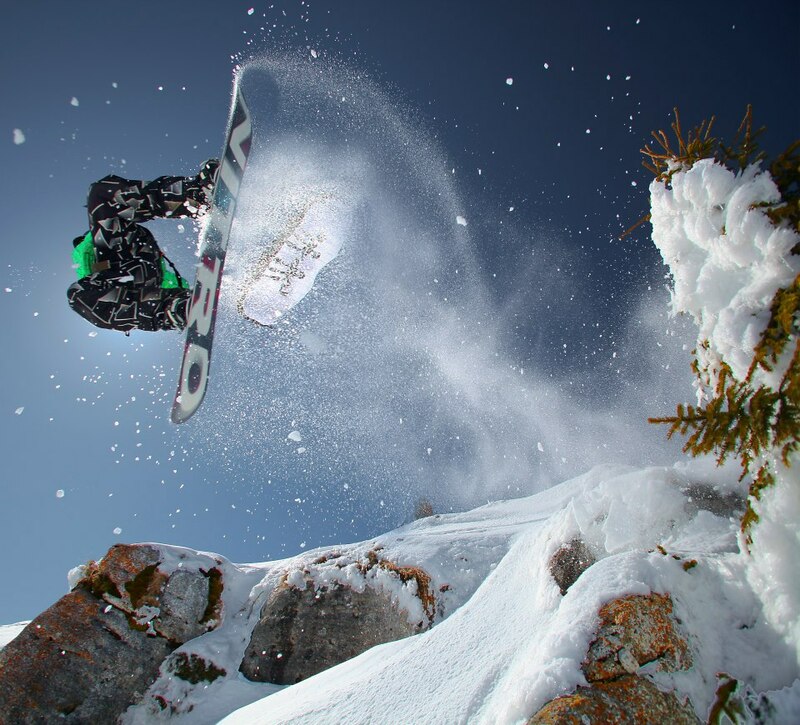 The powder is very tempting, but the risks of injury are not the smallest. Especially if you are not familiar with the area. There are two cable installations serving between 1400 and 2000. Telecabina (Teleferic S.A.) and Gondola Carp, the newest cable installation on board (Sinaia Local Council). From 1400 onwards, another four-seater chairlift, which is not covered, leads up to Sadul Dorului / Variant (about 1900 alt), operated mostly on crowded days, and operated by Teleferic S.A. The Sub-alpine, forest area refers to the area below 1400. It is representative of the New Slope (which is old, but so its name) with a length of 3 km and a difference of 400 meters. It is a low altitude, intermediate slope, easily accessible by Gondola 1 (1000-1400 km) and served by an artificial snow installation. Starts at 1400 and runs through the woods to Gondola 1. We also find the beginner's slope, served by a baby-ski facility. Another route, unusual, but used since ancient times by the locals and those familiar with it, is the Old Road, starting at 1400, descending to the St. Anne's Hermitage and coming out, beside the old bobsled, right next to the Cabana Schiorilor, hanging out many years ago for the tasty tripe soup at the end of the day of skiing. It's a light drive that requires a lot of natural snow. The forest area is served by the Telecabina 1, which slopes behind New Montana Hotel, in the city center and Gondola 1, which starts its route from the Furnica District, near the Serbian Taverna restaurant. Both arrive at Quadrant 1400. Here we find another feature: The New Pole stops at Cota 1000 at the Gondola 1 boarding station. From here, to get to the Cable Car on the skis, there must be a lot of snow on the streets, as there is no no skiing route to the city center, to the cable car station. 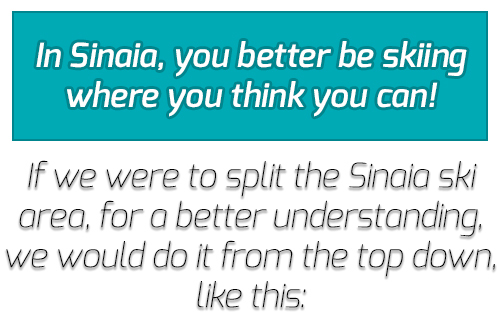 The most discussed issue of the Sinaia Ski Domain remains the unique skipass or, rather, its absence. There are currently two operators, on the one hand, Teleferic SA, on the other hand the City Hall and the Sinaia City Council, which administers through SC Urban Transport Sinaia both the Ski Domain and Gondola 1, Gondola 2, Soarelui Chairlift and the Babyski Chip 1000. In order to better understand the issue, we are going back in the 90's when the Romanian state handled all the cable installations in Romania, most of them built in the 70's with the Italians at Tanfani Demands, in a larger plan for organizing national tourism. They were privatized after '89. If some of the facilities in Poiana Brasov, for example, reached Copos, George Copos, the Sinaia cable cars reached Adrian Sârbu, the same Sârbu who held the MediaPro media group in 2000. In Sinaia, Teleferic S.A. meant, until 2007, the entire city cable system, composed at the time from the two cable cars and the chairlift in Valea Dorului. In 2007, Sinaia City Hall turned its eyes to a rather dusty and inexpensive mountain. It was then decided to build, from public funds, the Sinaia Gondola, the first section (1000-1400). In 2010, the Sun's chairlift was built and in 2016 the last piece in the puzzle: the Carp Gondola, which connects the 1400's to the 2000's, the segment that provided the City Hall with its own facilities for the entire skiing area. According to our sources, there have been various discussions between Teleferic SA and the Town Hall over a deal on the issue of a single-pass, valid for all installations in Sinaia, regardless of their owner. Unofficial sources told us that the lock occurred when it had to decide where the ticketing server would be hosted. The City Hall ruled out the possibility that the Teleferic had its server at their headquarters, the Teleferic did not even want to hear of the server being set up at the Town Hall. Meanwhile, Teleferic S.A. has become the subject of an ample process, with embezzlement and tax evasion. The company is currently in insolvency, probably a reorganization, and if the City Hall finds a dialogue partner willing to held realistic negotiations, the situation will probably improve. Teleferic S.A. administers: Sinaia Telecabina - 1400, Telecabina 1400 - 2000, Telescaun 1400 - Dora and Telescaun in Valea Dorului. Consiliul Local Sinaia through Urban Transport Sinaia administers: The Ski Domain with all the slopes and routes, Sinaia Gondola (1000-1400 Gondola), Carp Gondola (1400-2000), Cota 1000 Babyski and Sun Chairlift. Tickets are not co-operative, so do not expect to travel with the same ticket to some and to others. 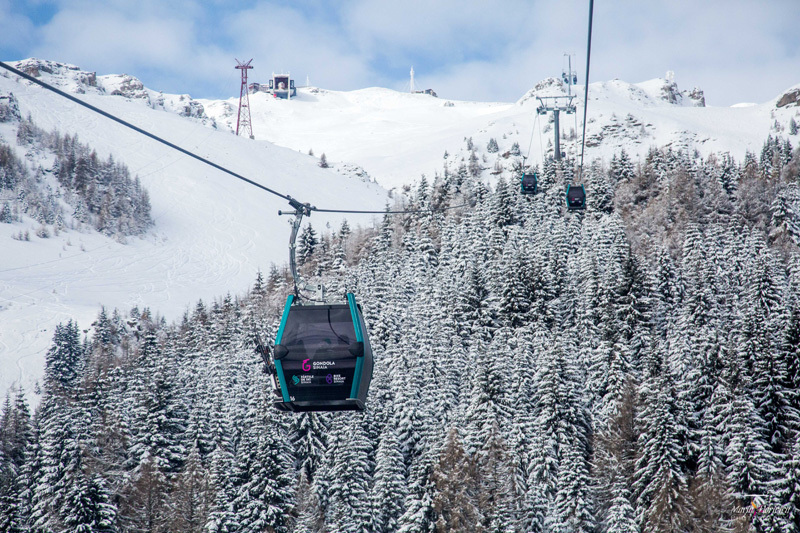 The cable car has a technical check-in every Monday, Gondola every Tuesday until 12.00. The cable car starts from the center, but the Gondolas offer better coverage of the slopes. Basically, the tourist has to decide what kind of facilities they choose.